the yarndest thing: Spring in My Step! The excitement's been boiling over this past year! I'm so thrilled to finally be able to share and release my glee with you! I'm feeling very fortunate to have my first submission included in the new Knitscene Spring 2017 issue alongside some very talented designers. Hats off to Harper Point Photography / Interweave for the sensational photographs! As a fan of this publication, I'm tickled to be a part of this beautiful issue. I offer my utmost gratitude to all of the folks who bring this magazine to fruition...you made a newbie's first time around such a pleasant experience. This is my contribution, the Desert Flower Shawl. 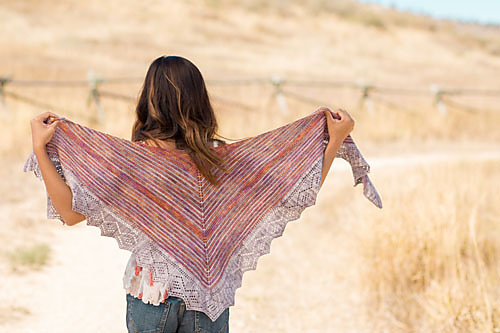 Additionally, the lovely Jennyknits and her band of knitters have decided to host a Desert Flower Shawl knit-along every Friday from 3pm - 5pm EST beginning on January 27th during her live knitting show on Twitch creative. Join in the fun! I look forward to meeting you and answering any pattern questions you may have. Info for the KAL can be found on the Ravelry forum here. I'm humbled and very thankful to have such encouragement and support. 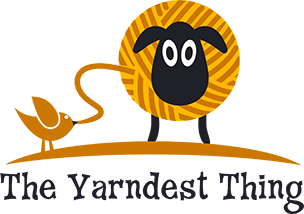 I welcome you to come join in this fibery fun yarniverse! Big thanks to Jenny and all who are taking part in the yarn party and supporting me in my love of knitting and design! Appreciate it so very much. 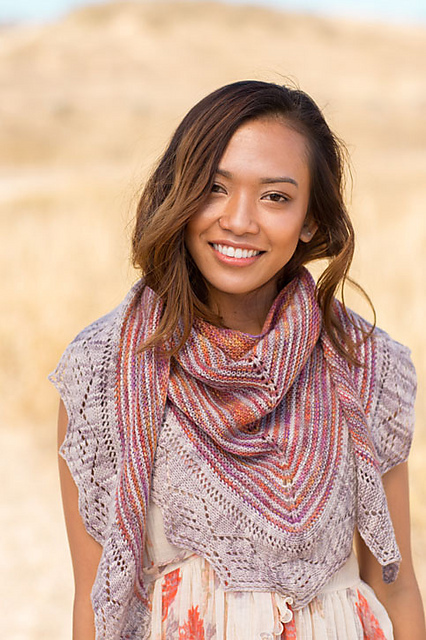 Most of all, I truly hope you enjoy knitting this new design as much as I enjoyed creating it. Hope to see you there! Happy knitting!